The mountainous state of Himachal has a fragmented and complicated history. 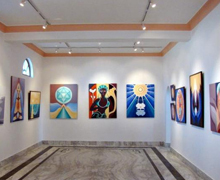 In the past, the beautiful state came under the rule of diverse empires which fought wars to exercise their control over this region, a busy trade route on the foothills of Himalayas. A number of so-called Aryan groups had migrated to the more fertile valleys during the Vedic period (1500 to 500 BCE). Very soon, these foreign settlers got absorbed into the local society with the assimilation of its culture and lifestyle. Later on, successive Indian empires — the Mauryan (321–185 BCE), the Gupta (320–540 CE), and the Mughal (1526–1761 CE), all emerging in the Indo-Gangetic Plains — sought to exercise varying degrees of control over trade and pilgrimage routes cutting across this former areas of Himachal state. It is to be noted that Himachal region was the key trade route linking Indian mainland with Tibet for centuries. There are evidences and historical records that show nearly 2 million years ago mankind lived on the foothills of Himachal Pradesh. Bangana valley of Kangra, Sirsa valley of Nalagarh and Markanda valley of Sirmour are found to be the places where prehistoric man used to live. The foothills of the state were inhabited by people from Indus valley civilisation which flourished between the time period of 2250 and 1750 BCE. In about 883 CE Shankar Verma, the ruler of Kashmir extended his reign to include the present state of Himachal Pradesh. The region witnessed the invasion of Mahmud Ghazni in 1009 CE, who during that period looted the wealth from the temples across North India. In 1043 CE the Rajputs ruled over the Himachal territory. In 1773 CE the Rajputs under Katoch Maharaja Sansar Chand-II administered the region. But they were badly defeated by Maharaja Ranjit Singh in a one-sided battle in 1804, thus eliminating the Rajputs from the Himachal power struggle. The small kingdom was more or less independent till the Muslim invasions in north India. The regions on the foothills were devastated by Muslim invaders a number of times. Mahmud Ghaznavi conquered Kangra at the beginning of the 10th century. Timur and Sikander Lodi marched through the lower hills of the state and captured a number of forts and fought many battles. The Gorkhas, a martial tribe came to power in Nepal in 1768. They consolidated their military power and began to expand their territory. The Gorkhas marched in from Nepal and captured the area. Gradually the Gorkhas annexed Sirmour and Shimla. Under the leadership of Bada Kaji (equivalent to General) Amar Singh Thapa, Gorkhas laid siege to Kangra. They managed to defeat Sansar Chand, the ruler of Kangra, in 1806. 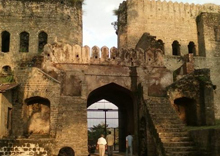 However Gorkhas could not capture Kangra fort which came under Maharaja Ranjit Singh in 1809. Raja Ram Singh of Siba state re-captured the Siba fort after defeating the army of Maharaja Ranjit Singh. 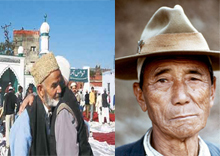 The Gorkhas began to expand towards the southern region of the Himachal region. The Gorkhas came into direct conflict with the British along the Terai belt. Following which the British expelled them from the provinces of the Sutlej. The British gradually emerged as major power winning a number of local wars. In early 19th Century, the British annexed the areas of Shimla after the Gorkha War of 1815–16. 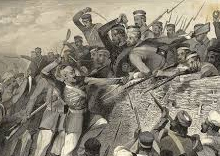 The revolt of 1857 or the first war of independence resulted due to the building up of political, social, economic, religious and military grievances against the British government. People of the hill states were not politically alive as the people in other parts of the country. They remained more or less inactive and so did their rulers with the exception of Bushahr. Some of them even rendered help to the British government during the revolt. Among them were the rulers of Chamba, Bilaspur, Bhagal and Dhami. The rulers of Bushahr acted in a manner hostile to the interests of British. The British territories in the hill came under British Crown after Queen Victoria's proclamation of 1858. The states of Chamba, Mandi and Bilaspur made good progress in many fields during the British rule. In earlier times, the area was variously divided among smaller kingdoms, such as those of Chamba, Bilaspur, Bhagal and Dhami. After the Gorkha War of 1815–1816, it became part of the British India. During World War I, virtually all rulers of the hill states remained loyal and contributed to the British war effort both in the form of men and materials. Amongst these were the states of Kangra, Nurpur, Chamba, Suket, Mandi and Bilaspur. Himachal was made into a centrally administered territory in 1948 with the integration of 31 hill provinces. It was called the Chief Commissioner's province of Himachal Pradesh which came into existence on 15 April 1948. Himachal became a part C state on September 1951 with the implementation of the Constitution of India. Himachal Pradesh became Union territory on 1 November 1956. The scenic region got more regions for administrative convenience in 1966. On 18 December 1970 the State of Himachal Pradesh Act was passed by Parliament and the new state came into being on 25 January 1971. Thus HP emerged as the 18th state of Indian Union. Some political groups in Nepal demand the return of hill regions from India as part of their grand design to create Greater Nepal. They recall that these regions were annexed (or usurped) by the British from their kingdom after a series of wars in the 18-19th century. However, most of the people in Himachal Pradesh and other Nepali-speaking regions like Darjeeling, Sikkim and Siliguri and parts of Uttarakhand are happy to remain with India.